Can you tell Julian and Joaquin Castro apart? 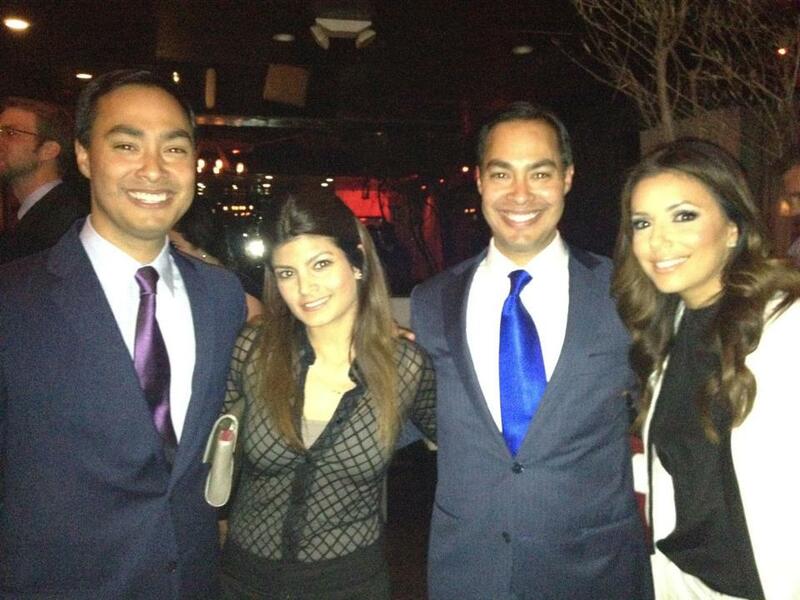 I was with the very impressive Castro twins (Julian and Joaquin) and their fellow Texican Eva Longoria last night at a fundraiser and had a hard time telling them apart. Back in 2010, I interviewed Julian, the mayor of San Antonio (and the youngest mayor of a top 50 American city, at that) for a special ad campaign that Chanel was doing around a new men’s fragrance, Bleu de Chanel. The campaign was called “Be Unexpected,” and it consisted of profiles of extraordinary black and Latino men (you can read the profile, titled “The Great Brown Hope” and check out the ad). I also interviewed Junot Diaz and Laz Alonso, among others, for the same campaign. Since then, I’ve been able to call his press office and get a quote or two for different stories, including this one for Fusion (ABC/Univision), which I really appreciate. I’ve been a fan of Julian Castro since and have high hopes for him, politically. His profile went through the roof last year at #2012DNC after his awesome speech, even if his adorable daughter Carina kind of stole the show.